A recent post I read, entitled Remember When, got me thinking about mix tapes and and listening to the radio as a kid. My sister and I used to write down the lyrics to songs – rewinding again and again and again until we figured them out (and we still probably didn’t have them right.) I remember making mix tapes for my best friends, my family, and to play by the pool. Little has changed…I am still making mixes for my kids, my boyfriend (I know, sappy), and to play in the kitchen while I’m making dinner. Same idea, but now we call them playlists. And it’s easier than ever; hit a few buttons on iTunes or YouTube (and then Zamzar it) and you’ve got the ultimate playlist. 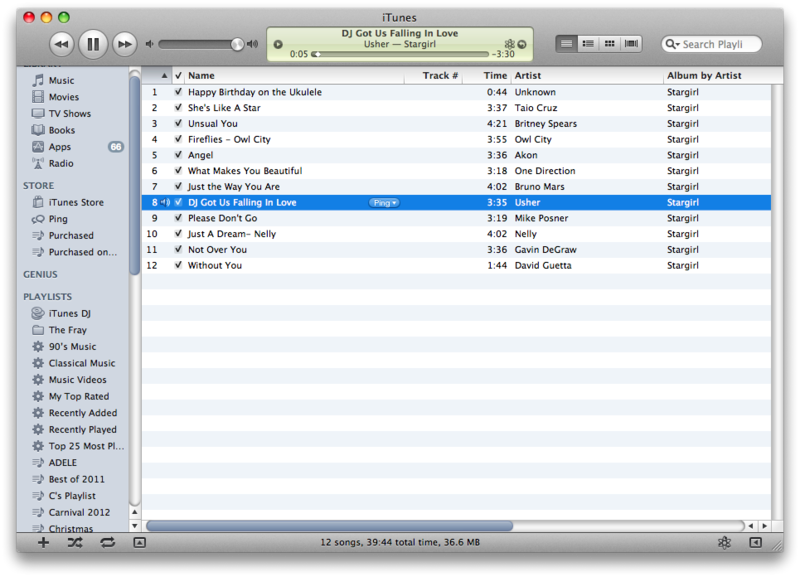 I just finished a “Carnival 2012” playlist for my boyfriend’s middle school carnival. This playlist is a hit with my two kids at home and will definitely be part of our 11 hour ride to Myrtle Beach. A great way to connect with kids (especially teenagers) is to incorporate current music into your teaching. Some teachers play music as students enter the classroom or as they do seat work. At our school this spring, we were all set to “Rock the OAAs” and played great 80’s music every Friday a.m. over the P.A. system. One way that I incorporated music into my classroom was by making a novel playlist for our 2nd novel of the year, Stargirl. The idea came to me the first year I did this book with my Resource Room. A very popular song at the time was “DJ Got Us Falling In Love Again” by Usher and it fit perfectly with Chapter 31. So perfectly, that I downloaded it and played it for my class. I asked them why it was a good song choice. Seeing their reaction (one quiet, backward boy actually got up and started dancing), I knew I was onto something. I quickly worked on a playlist that weekend and burned 11 CDs. On the day before Christmas Break, I reenacted a scene in the novel where Stargirl leaves loose change around town for children to find; I left 11 pennies in random places around my room. I “charged” everyone one penny for their Christmas “gift.” And we spent the rest of that period listening to the playlist and discussing how each song fit in the novel. It was a hit. The second year I taught the novel, I decided to take the playlist to a new level. First, I updated it to make it “current” and I set up my lesson plans to include the playing of tracks after the appropriate chapters. I created extended response prompts that required the students to reflect on the song, explain how it related to events of the chapter, and evaluate if the song was a good choice. Below is my Stargirl playlist, which I still listen to regularly. It still brings back some great memories of some great moments in class. Do you have a summer playlist? Are you taking a long road trip this summer (with 4 kids)? 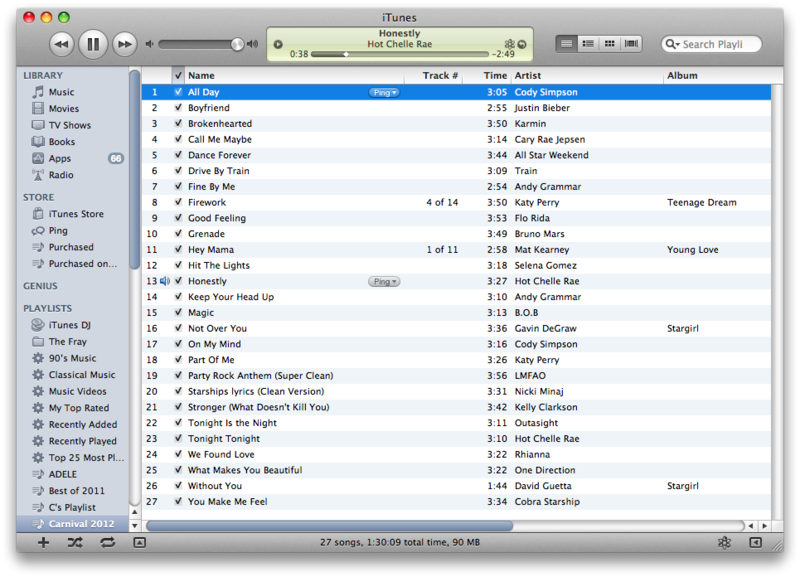 Here is the “Carnival 2012” playlist, which I am now renaming “Myrtle Beach or Bust 2012”, if you need some inspiration. I love this! In my class, I try to pick popular songs in Spanish (reggeaton has done wonders for this!) that have words and phrases we are learning in class. I usually play the songs when the kids come in and do bellwork, and by the end of the bellwork I can see them all sitting there with their wheels turning and little lightbulbs going off when they hear a word they know. The first time I ever did it was with “Camisa Negra” by Juanes during the clothing unit… The kids loved it. Glad you can relate! Thanks for reading! Thanks for reading! I think another thing you could do with higher students is have them create a playlist (about a novel, event in history, or their own life) and justify their song choices.